Snow Bush (Breynia nivosa) an ornamental, rounded tropical shrub that is 5 to 8 feet tall and 4 to 7 feet wide. 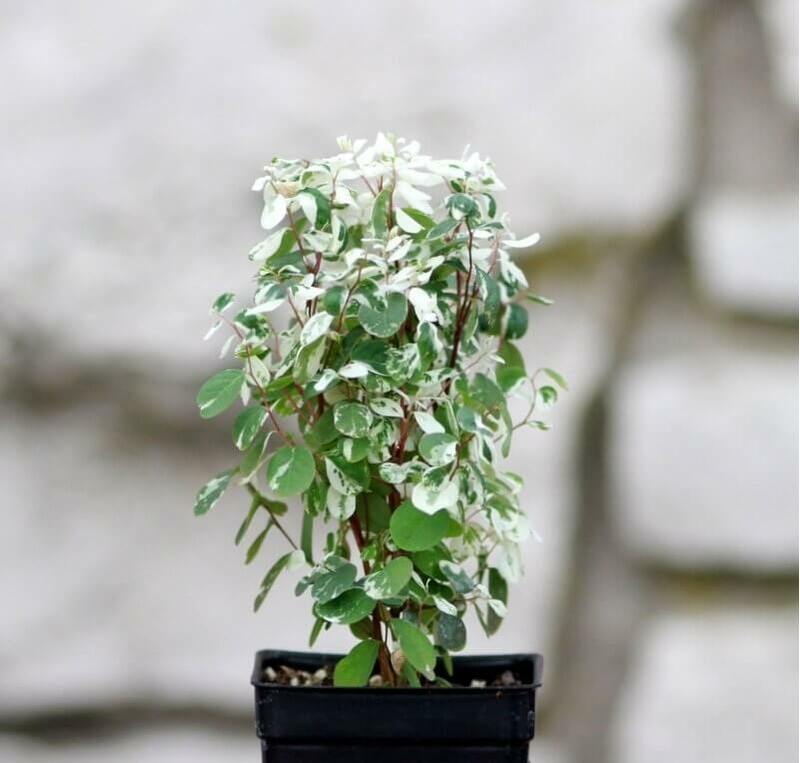 It has bright red stems which are densely covered with rounded green leaves, spectacularly splashed with white. It has small green petal-less flowers that are not at all showy. 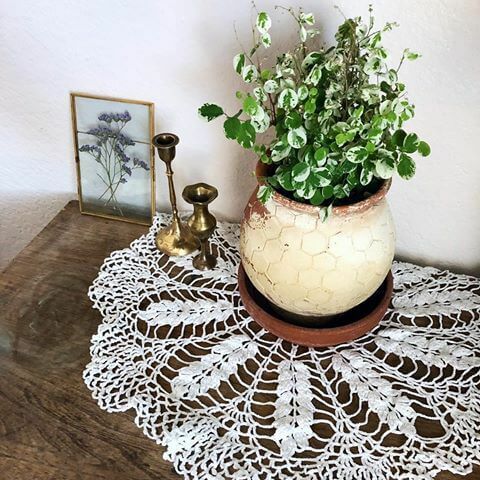 Snow Bush makes a great indoor plant and hanging basket plant. Common Name: Hawaiian Snow Bush, Snow Bush. It thrives best in a bright light, but no direct sunlight. It grows well in a good quality houseplant potting mix. Water thoroughly and always keep the soil evenly moist and do not allow the soil to totally dry out. pebble tray and mist with room temperature water. It prefers average room temperatures 65°F – 75°F / 18°C – 24°C. Do not plant outside if you think the nighttime temperatures during winter will go below 60°F/16°C. The leaves are easily damaged in low temperatures. Fertilize every two to three weeks from March-September with a well balanced liquid fertilizer diluted by half. Prune long stems to keep the plant looking full and bushy. It can be easily propagated by stem tip cuttings. Take stem tip cuttings in summer and root them in a moist sterile potting mix. Cover the whole thing with plastic to hold in the humidity until it takes root.